The UK Economic and Social Research Council (ESRC) awarded £1.5 million to the University of St. Andrews in Scotland for the creation and management of a network of remote Datacenter access points (SafePods Network or SPN). Before now, access to datasets at data centers requires the researcher to travel to an approved ‘safe setting’ provided by the Data Centre. According to the university, the main objective of SPN is to improve public benefit research through the provision of micro safe settings (known as SafePods), which will support, strengthen and widen remote access to research datasets held by Data Centers across the UK. Thereby, eliminating the limitations of distance and infrastructure. A SafePod is designed to replicate a traditional safe setting and includes security features such as a door control access system, CCTV camera and secure storage areas for IT hardware and equipment. The new SafePod Network (SPN) is designed and developed at the University of St. Andrews for researchers, to enable them gain secure access to the data centers of research organizations. As designed, no datasets are held within a SafePod. What is provided is a secure connection from a SafePod to a data center for a researcher to view and analyse their project datasets. The SafePod is also compact in size for placement into organizations with limited space. 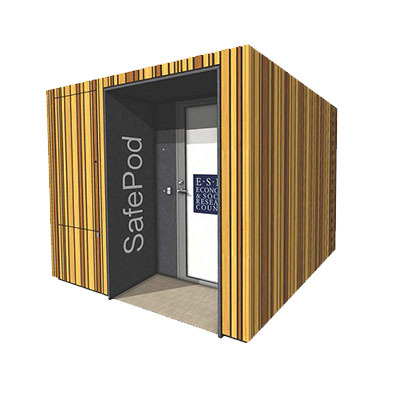 St Andrews University and the ESRC have just opened application for eligible organizations to request a SafePod and to be part of the SafePod Network.